I have planted this peony twice..once with the original order and once with it,s replacement, neither has shown it's wee head above ground. It is planted in my peony bed and it's companions seem very happy...not so much this one. Disappointed, I want the coral color. Oh well, maybe next year! 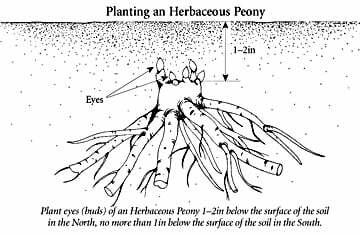 I have many tree and herbaceous peonies. This one is very special and unique. I love the initial deep peach. As it ages, it gradually turns a lovely pale yellow. The blossoms seem hardier and last longer than many of the others. I highly recommend it. It is lovely with magenta peonies and deep blue delphinium. My back bed is a mix of orange/coral and blues/purples. I was thrilled to find a peony that fits into that scheme. Although this is only its first year, I already have 4 beautiful blooms on it. It looks stunning in front of my dark blue delphinium.